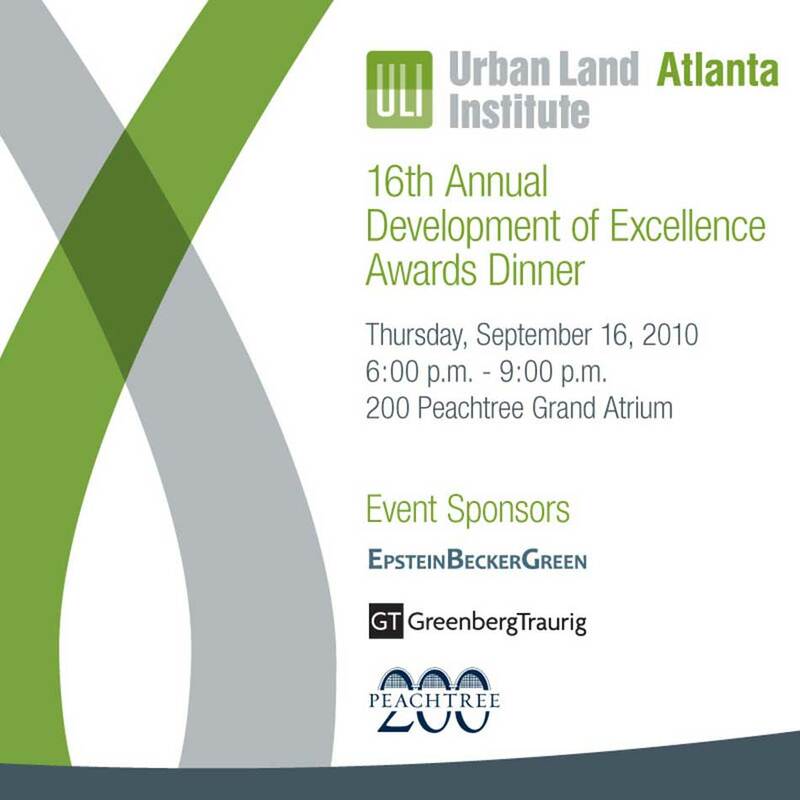 Resource is proud to be a sponsor of the 2010 ULI Development of Excellence Awards to be held on Thursday, September 16th at 200 Peachtree (and we had fun designing this year’s invitations, too)! like the award’s namesake, has advocated for responsible land use. Congratulations to Mayor Shirley Franklin! in his or her lifetime. Congratulations to Don Childress, Childress Klein Properties!